The Order: 1886 looks to be coming up a bit short, but is this a bad thing? Read on to find out. Following news this weekend that The Order: 1886 had leaked to YouTube with a total run-time of 5 hours (half of which are supposedly cut-scenes), I started to worry. Up to this point, I have been cautiously optimistic about its impending release. On the one hand, it had an initially weak showing in its early footage and gameplay. On the other, everytime I see new videos of it, there seems to be general improvement in both its cinematic beauty and gameplay elements. I want the game to be good, particularly when taking into account that this is the first new AAA Playstation-exclusive IP since The Last of Us, and the first new AAA IP exclusive to PS4 (inFamous and Killzone don’t count on this list because they aren’t new IPs). The story seems intriguing, and the blend of supernatural elements with a steampunk 1880s aesthetic make the game appealing on paper, but the potential for failure will come with developer Ready At Dawn’s ability to deliver on all these promising elements. While the video has since been removed, it has raised questions and concerns, especially considering that half of those 5 hours is supposedly cut-scenes. 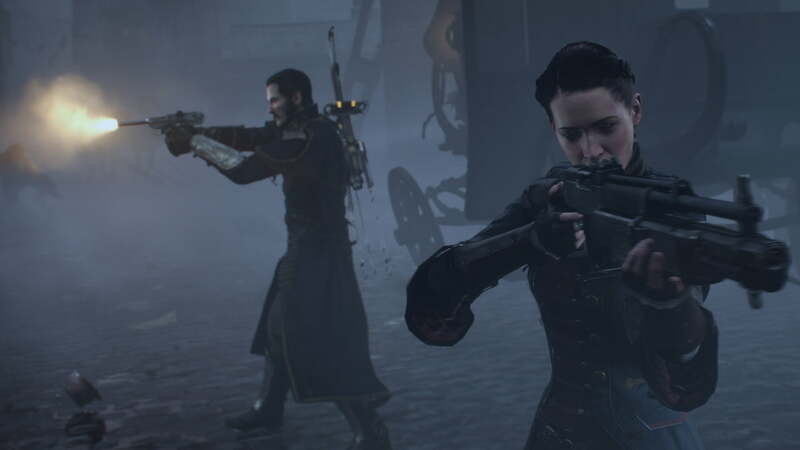 The game’s chief technical officer Andrea Pessino refutes these claims, saying that according to their internal tests, when played at a normal pace, The Order: 1886 can be completed in 8-10 hours, and when played on higher difficulty, can take up to 12 hours. Exactly how long the game will last for each player will of course differ on individual playstyles, and we will have to wait until Friday to know for ourselves how long the game will take to complete. Still, this issue raises some important questions regarding how long or short is acceptable for a AAA game. If we look at another recent example, there was outrage over the roughly 5-hour length of Metal Gear Solid V: Ground Zeroes, the prequel for the upcoming release of Metal Gear Solid V: The Phantom Pain. Contrast this to a game like Dragon Age: Inquisition, which boasts well over 200 hours to complete if you want to see and do everything in the game. Similarly lengthy experiences can also be had by games in the extremely popular Elder Scrolls and Fallout series. On handheld platforms, Monster Hunter 4: Ultimate just released on the 3DS, and contains upwards of 100 hours of content for the truly dedicated, which more than justifies the $39.99 price tag. So how do we compare these different types of games? Or a better question may be how do we justify charging the same for games that deliver 5 hours of content versus those that deliver 200 hours? Personally, I don’t get all bent out of shape when every game doesn’t provide endless re-playability, an open world, or competitive multiplayer. I enjoy games that offer these things, but I enjoy them for different reasons. It is the differences in games that makes them unique and worthwhile. Additionally, not everyone has time to have every game they play be a massive open-world that takes hundreds of hours to beat. There is room for shorter games that tell complete and concise stories. Both The Last of Us and Bioshock Infinite are somewhat recent examples that did a good job of balancing story and gameplay, giving users semi-open environments to complete their tasks while still guiding them through the plot in a deliberate and linear way. Both of these games were also on the shorter side, coming in at under 20 hours. If The Order: 1886 is able to deliver a similar experience to these two games and pull off a well-crafted, complete story in the allotted time, then I do not think there is need to pick up your torch and pitchfork. If you want a longer game, pick up Dragon Age. If you want a game you can play over and over again endlessly, go play Diablo III or Destiny. If you want a shorter game that aims to tell a story using beautiful cinematics, give The Order a chance. Of course there is still the question of whether we should be paying the same price for all these kinds of games. At the moment (in the US), we typically get either a $59.99 AAA title, a $10-15 indie title, or some sort of episodic game that usually comes in around $25-30 when all is said and done. This eliminates any sort of middle ground for games that may be a bit short on content but big on budget. Given these rumors, The Order might be better served being a $40 game, but unfortunately, the current gaming market just doesn’t allow for this. As middle-of-the-road games continue to disappear, this gap will only widen, and this problem doesn’t look to have a solution anytime soon. 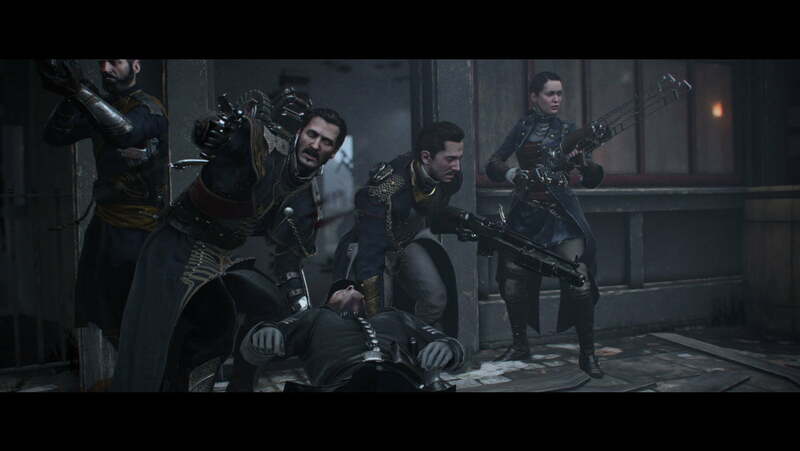 We will certainly need to wait and see with The Order: 1886, and I will not render a final judgement on whether it is a worthwhile experience until I have gotten my hands on it, but it is important to maintain an open mind. The internet age has been both exciting and also a bit of a downer for media. While our ability to connect and share unique experiences has been greatly improved, the possibility of these same experiences being leaked, spoiled, or ruined for us has also grown exponentially. In some ways, I yearn for the days of Nintendo Power, when all we had to go on were a few images of the new Mario or Zelda game, and we wouldn’t know if the game or its story were any good until we actually got to sit down with it. Alas, this is the digital age, and this new system isn’t going away. For now, we will have to try and maintain order as we delve into The Order‘s re-imagining of the knights of King Arthur’s court, and see what their, and our, future holds. For all the latest video game news, stay tuned to Gizorama. i agree also..but most people are just so quick to judge EVERYTHING!!! I really hope developers dont get scared off by those kind of gamers who seem to spend most of the time complaining about everything. Maybe those gamers should find aother hobby since this one doesnt bring joy to they’re lives anymore. Just go to N4G and you can tell it’s infested with hate-mongering twits. All ‘Positive comments’ about The Order get MASS disagrees and the Haters get more thumbs up no matter what’s stated even if it’s childish or moronic, they’ll get lots of thumbs up. Doesn’t matter who you are, people actively mass-shun you discretely via thumbing your opinion down. Of course, all these people who ‘disagree’ and thumb you down Never respond to you, they just quietly hate-wagon against you while staying quiet. It comes to show what’s Hip and trendy these days, Every insecure and obnoxious individual loves to hate for the sake of hating and to bully a game to make them feel better. A video game can’t defend itself. While I agree that many people are far too quick to jump on the hate wagon in situations like this, I strongly disagree with your last sentence. A game certainly can defend itself by being what it claims to be. If The Order really is a cinematic experience like none other, then everyone harping on it now won’t have a leg to stand on because it actually turned out to be good, regardless of length. If the hype for AAA games is toned down and expectations remain rational, I believe we’d see a decrease in the negative attitudes people are so quick to adapt. Of course, this only holds true if the games being made are of decent quality..which is a whole other topic completely. Well said man. I agree with you on every point.